CONGRATULATIONS! We are so excited to announce that our dear friend & amazing marketer Ray Higdon hit L6 inside of MyLeadSystemPRO! Ray is only 1 of 4 marketers to EVER hit L6 over the past 7+ years inside MLSP, and some of the best marketers you see online today have come through the MLSP education & training portal! Ray is a part of MLSP history now, and just accomplished what only 4 marketers have EVER done since MLSP's inception… congratulations to Ray Higdon! Ray worked his tail off, and earned (and failed) his way to the top. He's just like any other marketer out there who wanted MORE for his family… BUT he made a decision to NEVER quit, and he had a clear, inspiring, long-term vision of who he wanted to become… and then took MASSIVE relentless action. And now, he and his family will never have to worry about money again… The DREAM is real, and Ray is proof that YES YOU CAN ACHIEVE GREATNESS! So the big question… How did he do it?! 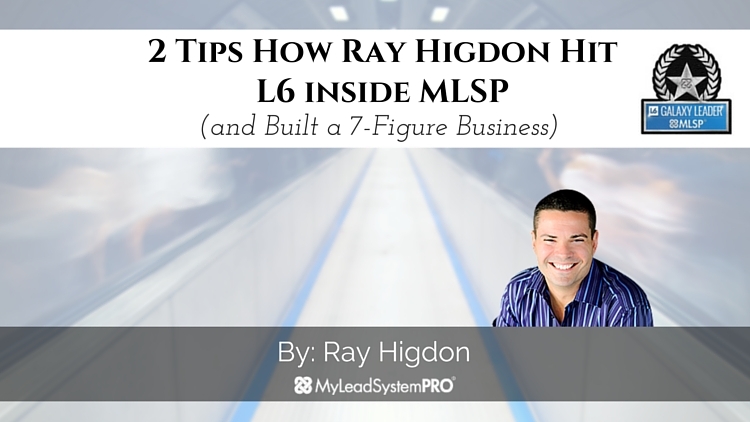 In the video below, Ray gives 2 tips that allowed him to hit the record-breaking L6 inside of MLSP (and how he was able to build a multi 7-fig / year business)… ENJOY! Seriously, if you want to figure this whole online branding & blogging thing out, compress time, and achieve real freedom for you and your family, this will be the best investment in YOU that you will ever make. 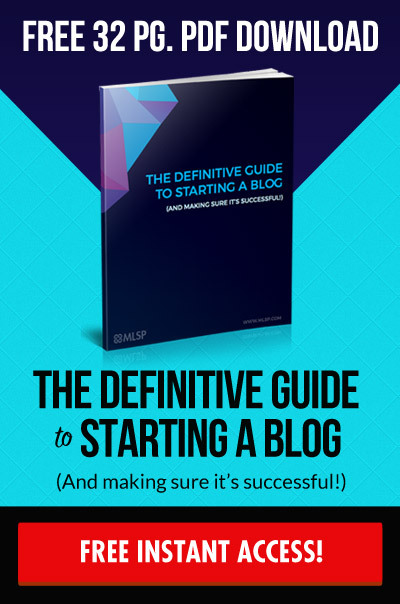 Try Ray's complete 7-Figure Blogging Blueprint for 30 days completely risk-free, and if it doesn't help you establish your brand, get more leads, and make more money, we'll give you your money back (that's how much we KNOW Ray's stuff works, period). Results don't lie… Ray's one of the best. I'd pick up 3-Min Expert: Attraction Marketing Edition here before we raise the price because this course will help you finally BREAK FREE! Once again a HUGE CONGRATS to my dear friend Ray for hitting the L6 Leader Level inside of MLSP! (will Ray be the first EVER to hit L7 inside MLSP?! only time will tell… but for now, thank you Ray for all you do for this community, and thank you for being a rock you are for the profession… you deserve all the success that is coming your way my friend). P.S. 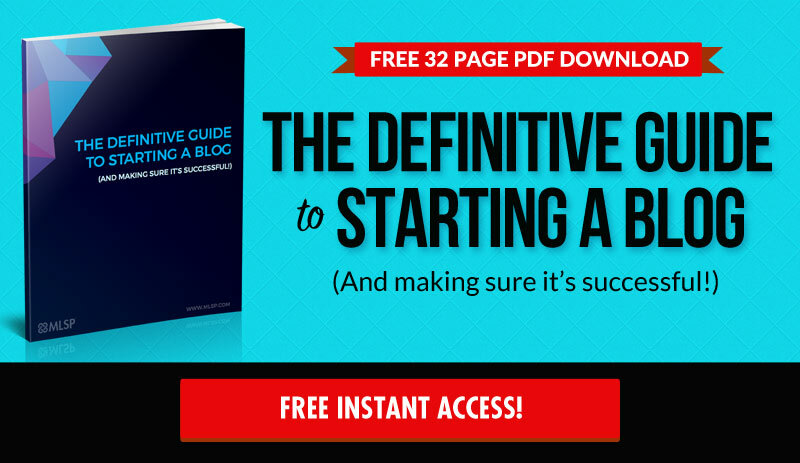 – This is everything Ray knows about building a blog that will create financial freedom for you and your family. 3min. Expert is one of a kind, well conveyed, absolutely MUST HAVE information. Can turn even the most non-techie person into a blogging guru literally overnight. I love Ray’s course. So much value. I’m going through it the second time and learning more and more. I love Ray and I’m grateful for all the value he puts out there FREE. I got the 3-Min Expert ad was blown away by the sheer abundance of value, tips, strategies to help bloggers to create an income via blogging. Keep going go over those obstacles and keep going. Love the inspiration Ray offers. I am super grateful for Brian & MLSP for the training and value I learn daily! ILT Awesome! Awesome Ray! Congrats on hitting L6! I have the 3-minute expert, bought it twice and I gota say that it really made a big difference in how I operate my online business. ILT is critical to learn and understand. Thanks you for sharing this value Ray!